It all started with Giving Tuesday 2017. 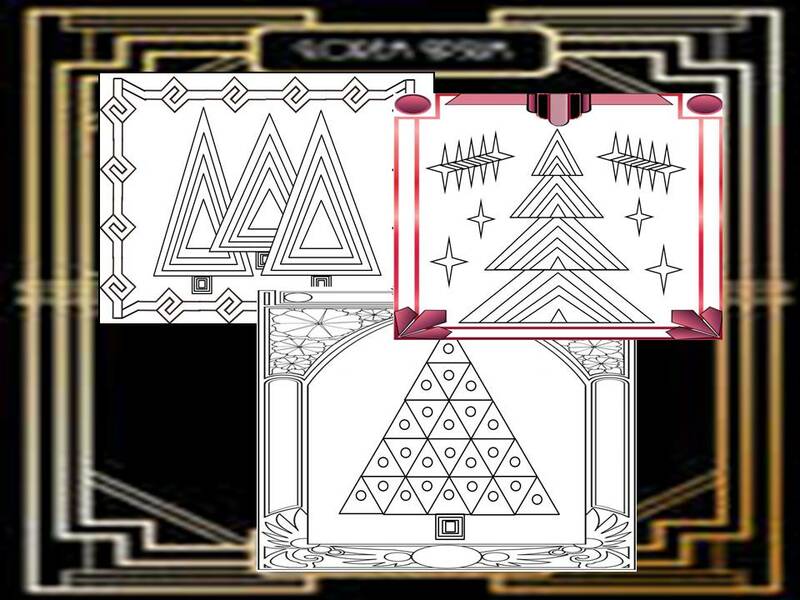 I was in the process of making these Christmas coloring pages and I had intended to add them to my product https://www.teacherspayteachers.com/Product/Narrated-Video-How-to-Make-Christmas-Trees-With-Powerpoint-Video-1-3506323. As I sat in the family room creating these on my computer, an advertisement for St. Jude's Hospital appeared on the TV. It just melted my heart to see children with life-threatening health conditions and the strength they exuded to deal with such hardships. Furthermore, I was thrilled to see that St. Jude's doesn't charge a penny to the parents/caregivers of these children for the services provided. I always wanted to "give back" somehow and it always seems that I miss opportunities in finding the perfect venue to do so. For instance, in searching how I could assist the Texas flood victims through my business, I finally found the means to do so on TpT, but it was a month later and the venue was closed. Or, if I contact a larger organization such as Red Cross or the Salvation Army and I want the funds directed to a specific cause, they don't do that.....instead, the money goes into a general fund. So, being that the day was Giving Tuesday when I saw the advertisement for St. Judes, I thought, well why not do this myself? All of these graphics were made by using the basic shapes in Microsoft Powerpoint. Included in each download is a means for you to view/purchase any/all of the Narrated Series of Videos called Picture Making With Powerpoint. The 8 videos tell and demonstate step by step how to make Christmas trees, wreaths, ornaments, stockings, reindeer heads, candles, and an angel using the basic shapes found in Micosoft Powerpoint. Perfect for kids learning how to use powerpoint or beginning adults. 50% of profits will be donated to St. Jude's Hospital for children. This campaign started with Giving Tuesday 2017 and will run indefinitely at this point. Thank you for reading this and I hope St Jude's can benefit from your purchases! I belong to a fantastic marketing cooperative of teacher sellers. This group is called The Best of Teacher Entrepreneurs Marketing Cooperative (TBOTEMC). By being members of this group, we are offered numerous opportunities for marketing our products. One such opportunity is called Teacher Talk. Each month we have a chance to submit a blog post that will be promoted by TBOTEMC. The range of exposure is enormous! Here is the Teacher Logo for you to see and remember!! Questions? Ask me in the comment section below. What a wonderful and caring thing to be doing. I just know you're magnanamous contribution will be greatly appreciated. @Susan Berkowitz:Thank you..I hope I'm successful in raising money for them!